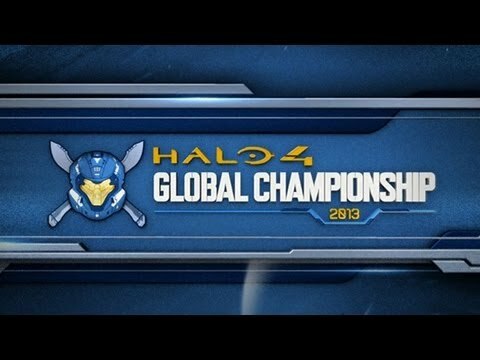 PAX Prime: What Do Pro Gamers Think about the Halo 4 Global Championship? From Aug. 30 to Sept. 1, over 140 of the best “Halo 4” players in the world will converge in Seattle, WA and square off for more than $300,000 in cash, including a $200,000 grand prize, at the Halo 4” Global Championship Finals. Xbox Live Dash. The Halo 4 Global Championship Finals will be streamed live on Sept. 1 at 4 p.m. Pacific Time on Xbox Live. In addition, viewers will get a first look at Xbox One exclusive launch titles, new announcements, and original content throughout the stream. Live Competition at PAX. Come see the action live and watch the competition at Benaroya Hall from Aug. 30 – Sept. 1. The first 1,000 PAX badge holders will receive a complimentary swag bag that can be picked up after the tournament ends for the day, and everyone who attends in person will have a shot at winning an Xbox One or Special “Halo” Edition Surface Pro! On Sunday, the tournament is open to everyone from 2 p.m. to 6 p.m P.T. Twitch TV. Tune in via the 343 Industries Twitch TV Stream (http://www.Twitch.tv/343Industries) as the top “Halo 4” players from around the globe battle it out from 11:30am to 6pm on Friday, and 11:30am to 4pm on Saturday. The tournament will draw spectators from around the world, either in-person or via live streams on, but few will be watching the action more attentively than professional “Halo 4” gamers. Xbox Wire had a chance to speak with a few of them to get their thoughts on the tournament—here’s what they had to say. Professional “Halo” player since 2008. Winner of multiple “Halo” events and secured the #1 spot at the RTX “Halo 4” Global Championship qualifier. “I really believe this is a great opportunity for gamers everywhere. I qualified at the RTX event in Austin, TX. It is a great feeling knowing I will have the chance to play for something as amazing as this. Although I qualified, I also competed in the online qualifiers, trying to get a feel for the gametypes and what I might see in the finals. I also played it like I am trying to win again! Professional “Halo” player since 2009. Won the Arena Gaming League 8 Tournament and was the recipient of the MVP award.